Moscow is selling its debt to foreigners and lending $25 bln - 2 pct of domestic GDP - to Egypt for a nuclear plant. Such shows of financial strength are all well and good. But the debt sale isn’t quite what it seems, and lending big sums at sub-market rates is risky. Arab governments eventually condemned the violence, but the U.S. embassy attacks highlight their vulnerability to radical minorities. This isn’t new in the Middle East, but investors will weigh the risk more heavily when considering opportunities in the Arab spring economies. The U.S. wants $3.5 bln for the African nation following a recent oil pact with its southern spinoff. But that could contravene 1997 sanctions, exposing aid providers and investors to a StanChart-like zap. It would be far better to just adopt a new policy altogether. 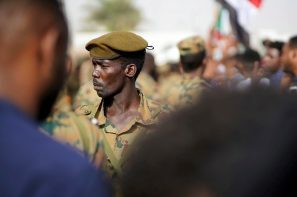 The kidnapping of Chinese workers in Sudan shows the “don’t intervene” policy is under strain. Growing foreign investment and reliance on global markets are why. China may find a softer alternative to the Pax Americana, but the odds aren’t good. With power comes aggression.